Auto stop at each bay. 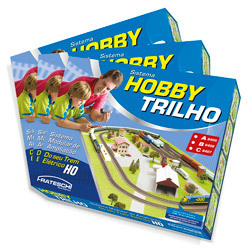 Hobby Track System, click here to know! 4200 - Complete remote control turnout pair. Straight section lenght 220 mm. Curved section as 4222. 41652 switch control box included. Brass rails. 4900 - Same as 4200 - Nickel-silver rails, brown ties. 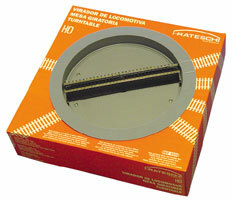 4055 - 55mm straight track(brass). 4110 - 110mm straight track(brass). 4110 D - 110mm automatic uncoupler (brass). 4980 - Same as 4880 - Nickel-silver rail, brown ties.